An accident can be very stressful and the process of filing a claim can also be very time consuming. This is where Harper Collision Center can take the headache out of the insurance process and deliver your car to it's original, pre-accident condition! We are professionals at making it easy on you! Harper Collision Center knows insurance companies policies so you don't have to. We work well with all insurance companies. We can help process your insurance claims for you. Harper Collision Center will contact your insurance company and arrange for an appraiser to inspect your car. We can also determine if your body repair work can be a legitimate insurance claim or an insurance liability as a result of an accident or collision. We can help navigate your insurance company's steps for claims including the necessary verbiage. We can also assist in finding alternate transportation as well! In the unfortunate event of a severe hail storm, fallen tree branch, fender bender, or major collision, Harper Collision Center is here to restore your car to its pre-accident condition and performance, or better! To help reduce our customer's direct out-of-pocket expenses, we work will all insurance companies from the time the accident occurred to the time your car is back on the road. As a consumer, you have the right to have your collision-damaged vehicle repaired at the body shop of your choice. Other consumer rights may apply, as determined by the individual state, regarding but not limited to, the parts used to repair your vehicle. Refer to your own state's Department of Insurance for full details. 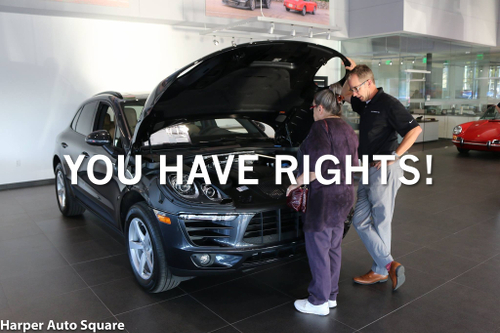 In the state of Tennessee, the consumer has the right to CHOOSE who they want to repair their vehicle. Although insurance companies will "recommend" a particular repair shop, ultimately you have the right to use whoever you want. Your insurer may try to bully you into using a shop on their "preferred" network, away from shops that don't comply with their standards of repair. You do not have to let them do this. You have the right to CHOOSE which shop you want to do the repair. "OE" or "original equipment" parts are made to the same exacting specifications as the parts used to build the car. OE genuine parts, installed, by a trained, competent auto body technician, can return your car to its pre-accident condition, and ensure your vehicle's structural integrity for optimal safety as well as preserve its VALUE. Insurance companies may specify alternative parts to repair a collision damaged car. Aftermarket , remanufactured, or Like Kind and Quality (LKQ) parts are ways insurance companies will try and save money when paying for the repairs to your vehicle. Make sure and check your insurance policy and if possible fight to have OE parts installed back on your vehicle! "The charges at that shop are higher, and you may be responsible for the difference." This is a very common misconception and is not true. Most often the original estimate of repairs are inadequate and not sufficient. When our factory trained and certified technicians perform an in-depth analysis of the damage, they will prove what is necessary to properly and safely repair your vehicle. This is part of the process, and insurers will pay once the need for necessary repairs is proven.